When it comes to indulging my food wanderlust, I’m an opportunist. A client meeting in Mid-Wilshire, for example, might be a mere pretext for a stop at Harvey’s Guss for a dry-aged rib steak; a trip into the valley to visit my aging father also a chance to browse the aisles at the Vallarta market or pop into India Sweets & Spices. So it was a recent Saturday morning, taking my son across the city to Glendale for the 40th anniversary celebration of his tae kwon do academy. What else was there in Glendale that might merit a visit? I wondered. My mind first considered the large Armenian population there — perhaps I could find a deli and pick up some basturma dried beef (think a lean spiced version of the Italian bresaola) and lahmajoon (Armenian “pizza”). But before the thought had even fully formed, I had a revelation. 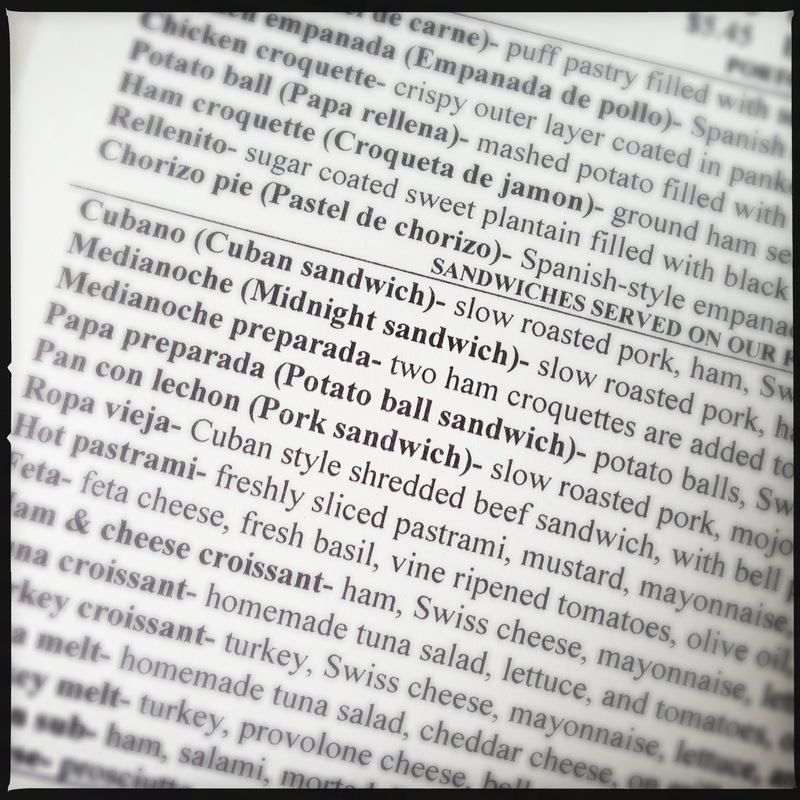 I would head, instead, to the most famous food destination in Glendale — Porto’s Cuban bakery. I waited for a particularly tedious segment of the 4-hour tae kwon do ceremony and slipped away from the several hundred people gathered in the park unnoticed. The GPS led the way, my destination was not more than five minutes, and soon I was feeding the parking meter and heading for the portal of Porto’s. 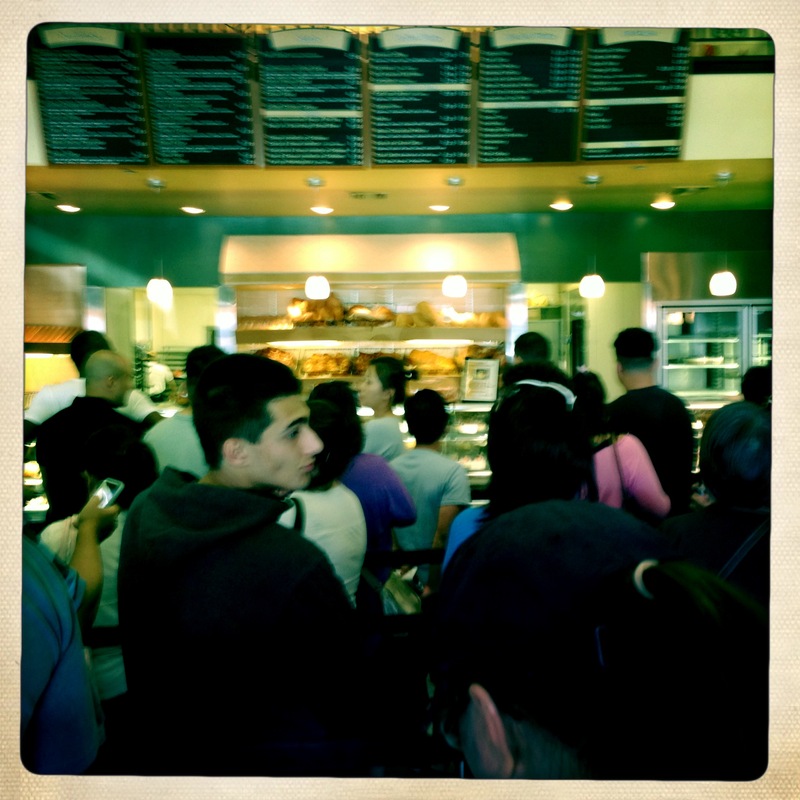 The first thing that strikes you upon entering Porto’s is the line. Could I have wandered into a DMV by mistake, I wondered? A young man handing me a menu as I queued up dispelled that question, and I heard my fellow sheep baaing about a 40-minute wait. As I waited I studied a plaque on the wall with a brief history: In 1960, the Porto family had emigrated from Manzanillo, Cuba to Glendale, California, with the proverbial not-much-more-than-the-clothes-on-their-backs. Always an exceptional baker and needing to supplement her husband’s modest income as a mechanic, she began a small cake-baking business out of her house. And the rest, as they say, is history. As they also say, you’ve come a long way, baby. Besides the name and the menu, there’s was nothing about the place that I would associate with thoughts of Cuba. The line in the massive upscale bakery moved with a staggering efficiency — I was to the counter in 10 minutes. The kid behind took my order without missing a beat or taking a note. “I’ll meet you at the counter,” he said. Moments later, there he was with my order — four papas rellenos, two chicken empañadas, two ham croquettes and two rellenitos. The pan con lechon — a Cuban sandwich with slow roasted pork, mojo garlic sauce and grilled onions — I would have to pick up at the take-out counter. When I got there, it was already wrapped and ready. There are now three locations, Rosa is long retired, and if there were any of her descendants amongst the 50 or so employees dashing about the bakery, I wouldn’t have known it. Back at the park, they were just finishing up the demonstration segment they’d been starting when I left. I resumed my spot where I’d been standing before, my son waved at me, not even having noticed I’d left. A successful food adventure! 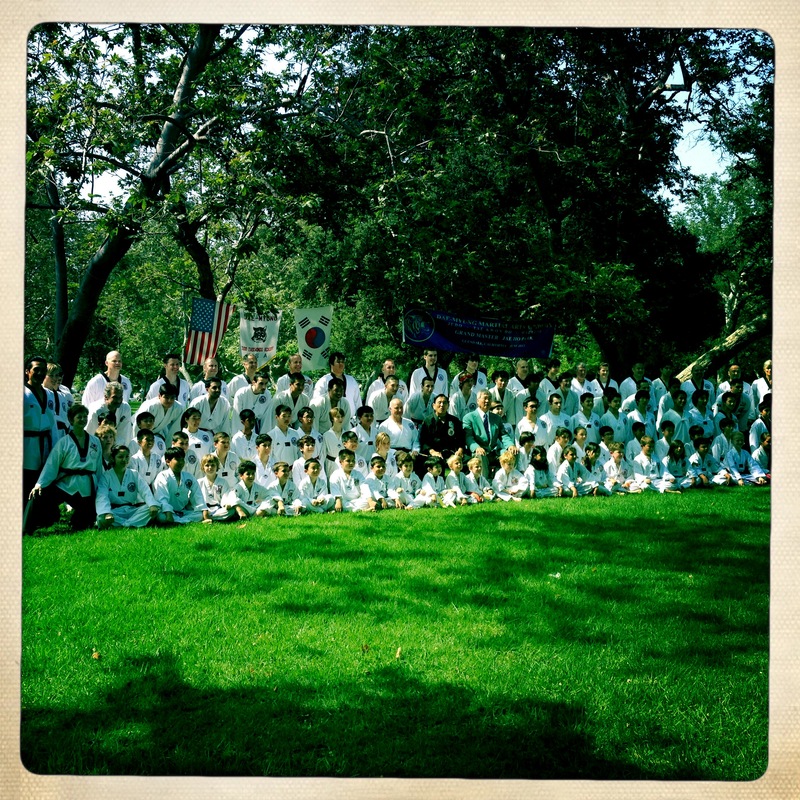 The schedule of the tae kwon do celebration, from 9 a.m. to 1 p.m., promised a delicious potluck lunch. Sure enough, there were several picnic tables filled with Korean noodles, spring rolls, Porto’s Cuban bakery boxes, giant pizzas, KFC (!!! ), sushi and salads and an assortment of other tasty options. I even brought a plateful of crab shui mai with soy sauce and Chinese red vinegar, assuming the ceremony would last until noon and then we’d lunch for an hour. But soon it was 1 p.m., and they were still handing out plaques and congratulating one another. Then it was 1:15. And I had to have my son back in the canyon to a friend’s house to go to a Dodgers game by 2 p.m.! So I grabbed a few slices of pizza for him, grabbed him, and made for the freeway. Although I’d bought the pan con lechon sandwich to eat sometime later, it would make the perfect lunch in the car. As Flynn gobbled his pizza in the back, I unwrapped my prize. Unlike the utterly sloppy, gorgeous torta Cubana at the Vallarta market, this sandwich looked austere — a bread roll filled with an abundance of shredded pork. The first bite was good enough — the bread soft, the meat tasty and meltingly tender yet still toothsome, if too much by twice. There was little sign of the mojo garlic sauce, and far from enough onions. The second half of the sandwich I saved for home — planning to dress with with my own mojo garlic sauce, more onions and maybe some pickled jalapeños and fresh tomato. My other purchases I’d also saved for later, and was more optimistic about, although I did try a sample of the papas rellenos they were handing out at the bakery. And like the sandwich, it was good enough — though maybe not quite as good as my own Irish American version. Perhaps I should’ve consulted with my pal Ernie, who goes to Porto’s regularly on his work sojourns to Glendale, on what to get. Or perhaps it’s just one of those urban culinary anomalies, a place that’s good enough but could never expect to live up to the mythologies that have sprung up around it. And sometimes just good enough is, well… good enough. The potato balls and cheese rolls are the real prize! Sounds good (enough) to me! I noticed your KFC!!! 🙂 I have been known to drive through at a late hour for some original recipe and cole slaw (in my pajamas of course). Now I’m hungry. Sad, isn’t it, how many things in life don’t live up to their reputations? For me it’s all about the pastry and coffee. Remember I go there around 6:30 in the morning [when there are no lines]. The Guava and cheese rolls are out of this world and the Apple Strudel are just as good. I always taste lard in the flaky crust and that is what sets it apart from their french counterparts. Maya loves the Raspberry kisses that they make. See, I knew I should’ve talked to you first! Try the chicken empanadas next time, too. Love the apple strudel We always get those too. I prefer the cheese rolls, for me the guava takes away from the perfection of just the plain cheese. Yeah, those are the papas rellenos I was mentioning! Which were pretty good. The killer thing I tried later was the chicken empanada. Skip the empanadas and go right to what Cuba does best — mojitos. Have Rum, have limes, have mint, have club soda, have mint simple syrup, have ice . . . ready, set go! I have been getting into the original Daiquiris lately with Key lime juice, simple syrup, Rums . . . great for summer by the pool and very refreshing. Once in a while it is a dash of Maraschino liqueur with a splash of grapefruit juice for a Hemingway Daiquiri. I have one poured for you. I can taste it from afar! BIG question is….did you save room for a Dodger dog? ALWAYS room for a Dodger Dog. I love the potato balls, the cheese rolls, the almond and chocolate croissants and when i do get the sandwich I ask for some croquets in them too. When we do parties we get the chicken pie, which is very good!! You must go again and order all of these .. these are our staples. Assuming the chicken pie is pretty similar to the chicken empanadas. Amazing what lard will do for a pie crust! Nope. nothing like the empanada. try it sometime. I think you have to pre-order the pie though. Not really a crust on top. Hard to explain. I usually get it for big parties. 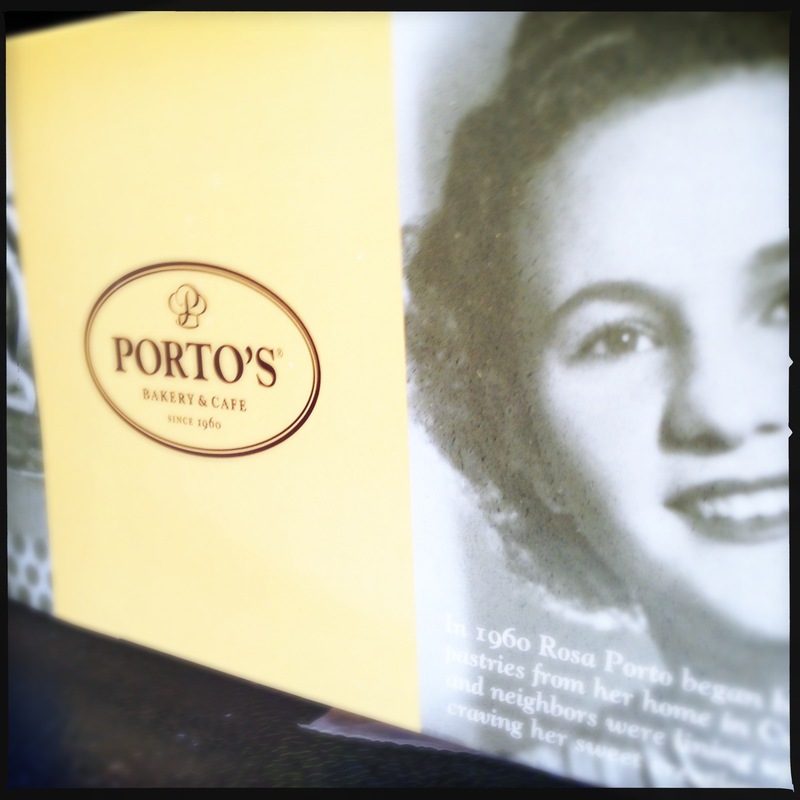 Went to Portos in the first couple years after we moved here, hoping to find the delights we’ve enjoyed (and Chris grew up with) in Tampa. No, it’s not there. I admire what they’re doing, but it’s not worth a trip across town. We will have to figure out a way to recreate what you can get at the Silver Ring in Ybor City. My goodness yes, Floridians must be so disappointed with what passes for Cuban here — just as we Californians are always surprised what passes for Mexican and Japanese elsewhere! I just make Cuban at home when I’ve got the itch. I don’t care much for pastries, which seems to be what most people get excited about at Porto’s. Ybor City is home to many a memory of Guavaween and great music shows presented by communisity supported WMNF the best little radio station East of the Mississippi. Now y’all are getting parochial on me. And Paul, surely you’ve noticed the copper gator artwork at the top of the driveway next to ours. I’ll have to get ye together with our resident native gator Chris next time you’re out. Checking it now and medium it is although a large allowing for shrinkage is probably not a bad way to go either.